NO DOUBLE CHIN, NO SURGERY, NO KIDDING! 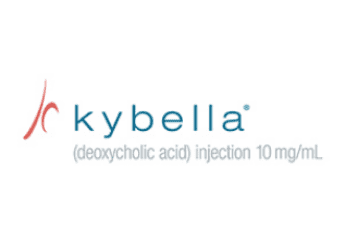 Plateroti Dermatology is now offering KYBELLA®, the first and ONLY FDA-approved, injectable product that improves the appearance of moderate to severe submental fullness. Because aging and genetics can contribute to unwanted fullness under the chin, sometimes diet and exercise alone may not help: KYBELLA® can. Located in Templeton CA, Plateroti Dermatology is committed to providing clients with superior skin care services. Starting in May, our patients can take advantage of $100 savings when they schedule a Kybella treatment. Contact us today for more information about the procedure or to schedule a consultation! KYBELLA® is a state-of-the-art new injectable treatment that is exclusively used to improve the appearance of submental fullness. It is the first and only FDA-approved injectable that does this. Double chins, also referred to as submental fullness, are often extremely difficult to get rid of without surgery. KYBELLA® can help you smooth and tighten a double chin without the need for an invasive procedure like a liposuction or a neck lift. KYBELLA®’s primary ingredient is already found naturally in the human body where it works to destroy fat cells: deoxycholic acid. Deoxycholic acid works within the body to aid in the breakdown and absorption of dietary fat. When injected into the chin, it works in much the same way, destroying the fat cells in the area. Because a significant amount of the chin’s fat cells can not be destroyed with a single injection, multiple treatment sessions are required for patients to see noticeable results. Once these fat cells are gone, most patients experience results that last for years after their treatment is complete. What can I Expect from a KYBELLA® Treatment? Each KYBELLA® treatment takes about 15 minutes to complete. While most patients experience discomfort during the injection process, usually only 2-4 sessions are required to get dramatic results. However, our providers will decide the appropriate number of treatments sessions and the amount of Kybella you will need at each session to reach each patient’s desired total outcome. Following treatment, there is a two-week period of “social downtime”. Because most patients experience fairly extreme swelling during this period of time, it’s best to not schedule any social events until it has subsided. Redness, bruising, and numbness are other common side effects that usually lasts for 1-2 weeks. The results of Kybella are not immediate. Kybella will cause the fat cells to diminish gradually over the course of the 4-6 weeks following your injection in the treated area. Patients usually do not see any results until a month after treatment. KYBELLA® is an excellent noninvasive treatment option for both men and women interested in improving the appearance of submental fat. These injections are safe for use on all skin types andethnicities, and for nearly anyone over the age of 18 and in good health. The only people who absolutely can not receive KYBELLA® are those that are pregnant or have a bleeding disorder. If you’re interested in KYBELLA® but still not sure if you’re a candidate, don’t hesitate — contact Plateroti Dermatology today to schedule a consultation appointment.